On June 20, 2001 the Schuylkill County Board of Commissioners entered into an Agreement of Sale with the Borough of Pine Grove to acquire the Sweet Arrow Lake property for use as a public recreational area. This 183.47-acre site is comprised of roughly 60 acres of water and 123.47 acres land. Approximately 25 – 30 homes border the south side of Sweet Arrow Lake. The Sweet Arrow Lake property is located in Washington and Pine Grove Townships, Schuylkill County. Major access routes include State Route 3002 along the northern border of the lake and State Route 443 which provides access to the southern portion of the site via Clubhouse Road. West Lake Drive, Shoreline Drive and Lakefront Drive, which serve the 25 – 30 homes that border the southern edge of Sweet Arrow Lake, are also accessed from State Route 443. Waterfall Road (T-408) parallels the western property line. Sweet Arrow Lake Recreation Area is a 183.47-acre site that is comprised of roughly 60 acres of stream-fed lake and 123.47 acres of fundamentally lush forested land. The flora found on the Sweet Arrow Lake property includes 31 species of trees and 7 types of shrubs. Seventy-four species of summer and fall wildflowers as well as seventy species of spring wildflowers also grow on site. 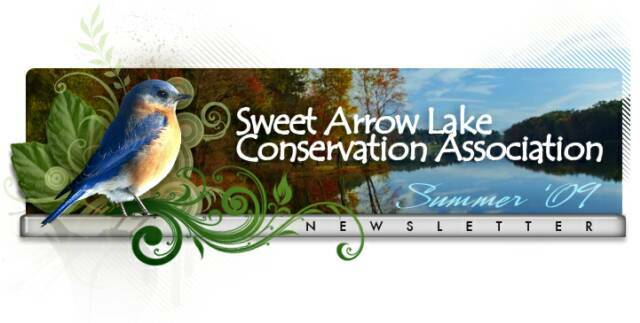 These natural attributes have induced 170 species of birds, 13 species of mammals, and 14 species of butterflies to call Sweet Arrow Lake Recreation Area their seasonal or year-round home. Over the past number of years sediment has filled significant portions of the western reaches of the lakebed and resulted in the formation of a sizable wetland area. Despite this phenomenon, 19 species of fish inhabit the waters of Sweet Arrow Lake and fifteen or more species of reptiles share the expanses of land and water. ****Amenities provided at Sweet Arrow Lake Recreation Area are rather limited at this time. The parking area associated with the boat access is the most visible improvement as it lies along State Route 3002. Vying with this site improvement is the dam breast structure that was reconstructed in 2003. The Clubhouse (which is currently being renovated), an adjacent picnic pavilion, walking trails, and a picnic area are located in remote areas of the site and are therefore less likely to be noticed. The presence of bluebird boxes rounds out the man-made features that are found at Sweet Arrow Lake. The diverse natural attributes of the Sweet Arrow Lake property provide the raw features needed to develop a first-class recreational facility. This site has the ability to present numerous passive recreational opportunities including nature/walking/hiking trails, wildlife viewing areas, fishing areas, picnic areas, and environmental education. A limited number of site-appropriate active recreational opportunities such as swimming, ice skating, volleyball, horseshoes, boating, and playgrounds may also be offered. **** Amenities have been greatly improved since this writing and include a fully functional rental facility and pavilion, new entrance road, boardwalk, bridge, parking, etc.